That is what the voucher is for. Since it was my off, we decided to go grab it. It’s free dinner in Serendra, who am I to say no? hehe We got there just in time for their dinner opening, around 6PM. Walked around Bonifacio High Street first then headed to Serendra where we spotted the alleged filming of the Bourne Legacy. We’re not sure since we only saw video crews, no celebs at all hehe. Not long after that, it’s dinner time! 😀 A little background: Churrasco refers to grilled beef or meat which is prominent in Latin American countries like Brazil. 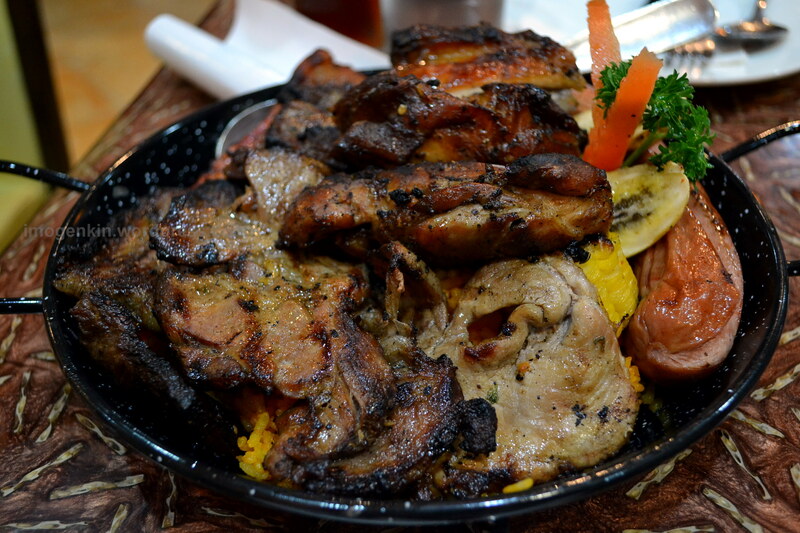 You can refer to the photo above (and below) and see that everything on that platter is grilled, from beef, pork, sausage to corn and banana. This is how it looks like in person. A carnivore will be so happy with it. It has pork belly, pork shoulder, beef brisket, beef tenders, chicken thighs, shublig sausage and some corn and banana in a bed of java rice. But of course, we came prepared. 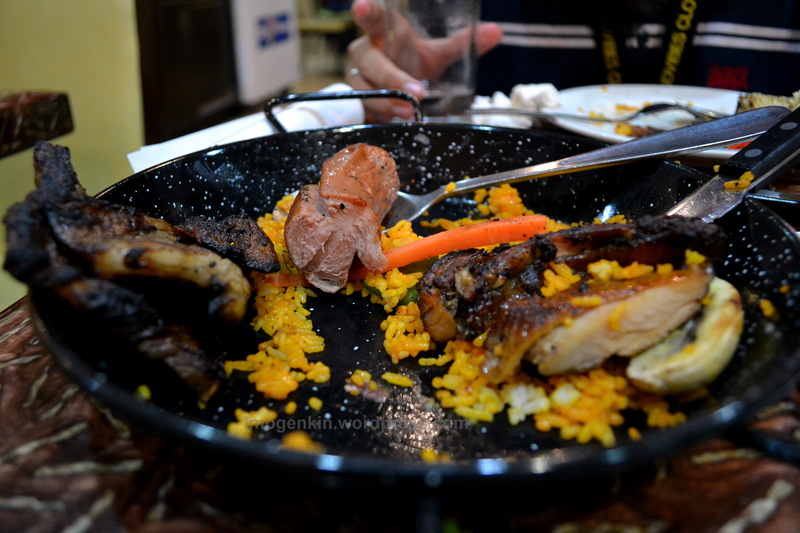 Knowing that this is a heavy feast, we are not too full nor too hungry haha We would like to try to finish this thing! We came with our game face on! Wooop! The meal started with a cup of soup, with 2 rounds of iced tea in between. The platter looks easy at first look, to be honest. 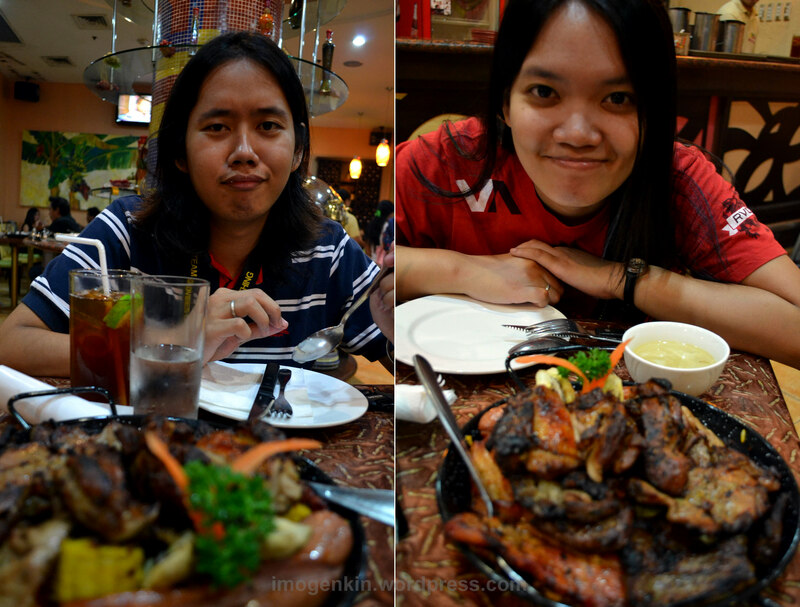 Our game plan is to have one kind of meat at a time. We managed to get a taste of each but halfway through it, it was getting tough. haha The actual deed of munching them wasn’t hard, thinking that these are all meat, it must be tiring to chew on them. But surprisingly, everything was tender. Even the rice was not too heavy in the tyan hehe Still, it was tough. >.< Don’t get me wrong, the food is delicioso! But man! All these meat has started to get on us. Nakakabusog pala talaga. It was sulit all in all. The resto looked nice and neat and the servers are friendly. They even let us take a photo of where the magic happens, the grilling. 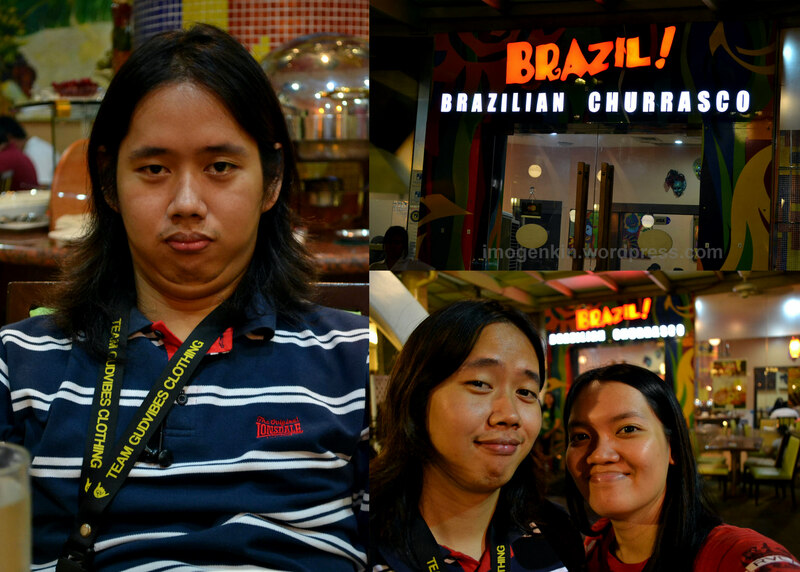 We were also surprised that several other people are also there for the deal, mukhang puro voucher ang kinita nila that night hehe.